From Concept to Reality… Building off the radical design of “The LEGEND”. The 2nd Gen Grumper for the all new Jeep JL offers a revolutionary combination of both grille and winch bumper. Key features include stubby design for maximum tire clearance, or a full width design to match the factory fender flares…side vents and a large mesh insert allow for optimal air flow and it includes an integrated crash-bar cover. 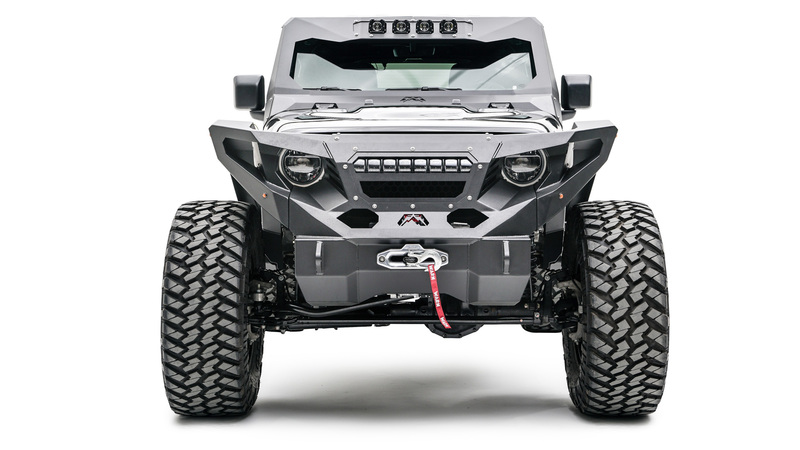 The 2nd Gen Gumper also has the ability to have an optional 20″ light bar insert for added LED coverage.